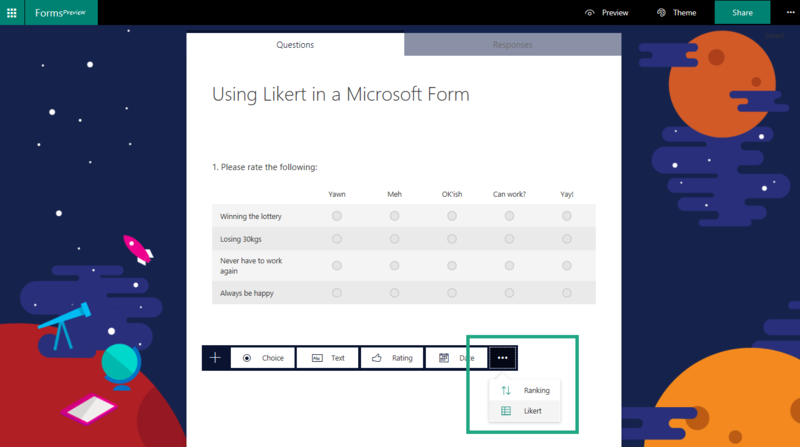 #Microsoft365 #Office365 #MSForms Likerts are used for scaling responses in surveys. 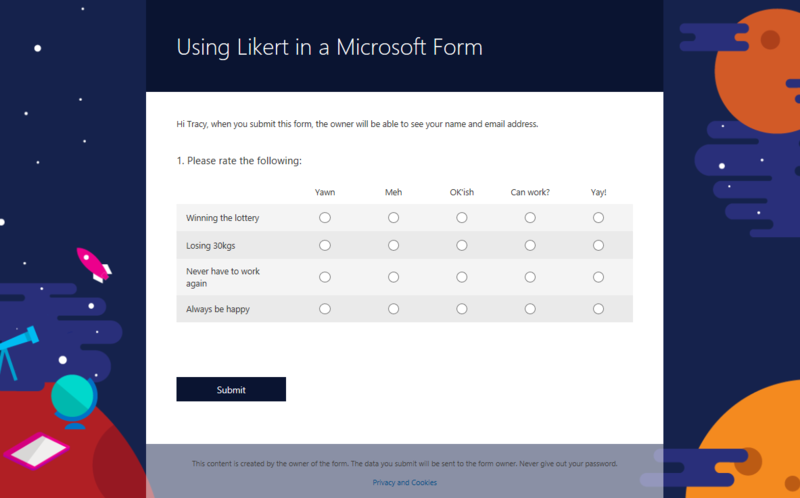 This was added to Microsoft Forms in September of 2017 and will take your surveys to the next level. 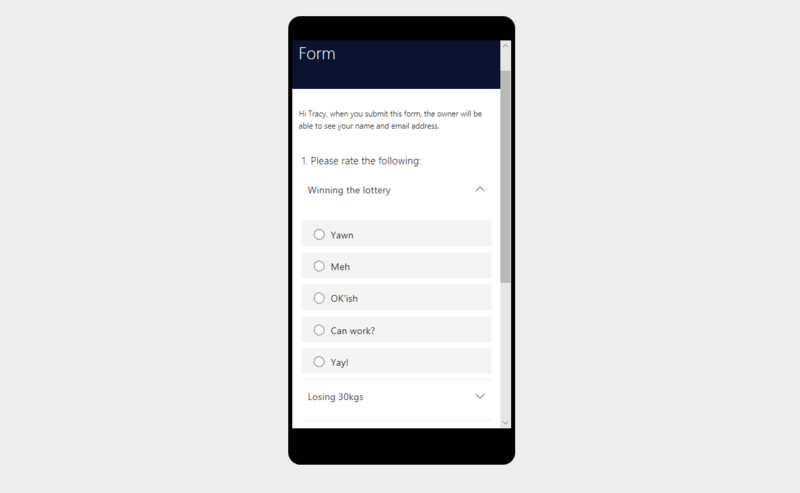 With Microsoft Forms, you can create surveys, quizzes, and polls, and easily see results as they come in. When you create a quiz or form, you can invite others to respond to it using any web browser, even on mobile devices. As results are submitted, you can use built-in analytics to evaluate responses. Form data, such as quiz results, can be easily exported to Excel for additional analysis or grading. Read more….